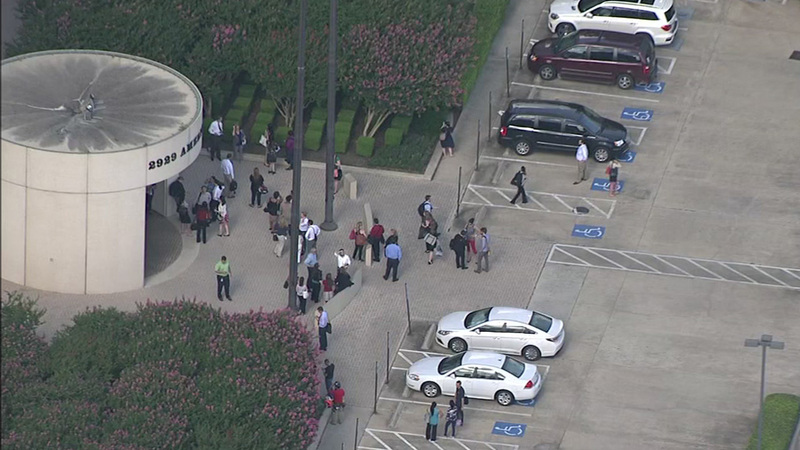 HOUSTON (KTRK) -- Firefighters say a fire in an elevator shaft prompted an evacuation of a high rise building near downtown Houston. The fire was reported just after 4:30pm in the 2900 block of Allen Parkway. The Houston Fire Department says the fire was contained to an elevator shaft but heavy smoke was visible so they evacuated the building. Firefighters say no one was injured in the fire.